When to plant what? – The answer to that question in our area seems to be very simple: on the May long weekend. This has to do with our last frost day, which is around May 25, and the Canadian Victoria day, a holiday that happens to be around the last frost day. Many gardeners here have followed this rule for many years more or less successfully. So why not to follow this general rule? 1. There are plants that could and should be planted long before the last frost day. 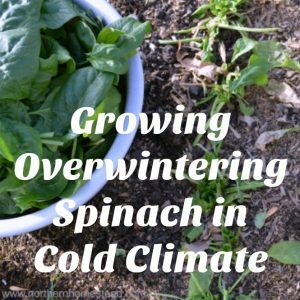 Plants like spinach, that do better in cooler conditions. Plants like Broccoli, that should be harvested before the cabbage butterfly lays eggs (late July – early August). And plants like onions that need to be started cool and have a longer growing time. Those are all winter crops that do not mind some frost, especially when young. Other winter crops are Kale, cabbage, parsley, peas, cauliflower, lettuce, beets, carrots (partly), radishes, swiss chard (and there are more). 2. But there are also plants that should be planted after the last frost day. Those are summer crops and grow much better in warmer soil. Cold and rainy weather that so often occurs right after the last frost day can harm or even kill them. Eggplants and peppers, along with cucumbers and squash, do better if planted after the last frost day when the weather is really nice and warm. 3. It is a lot of work to plant everything in one go. Even if there would be no other reason to plant plants at different times, this would be a big one for us. I can totally understand when gardeners complain about gardening being such a hard work if they plant everything at the same time and then weed the whole garden at the same time (as is the case if you plant everything at the same time), and then have to harvest everything pretty much at the same time, too. We like things simple: plant, weed, harvest – all staggered over a time period – that way gardening is fun. The weather in our area is very unpredictable. In the years we have been living here we have experienced -20C = -4F in late April and snow in early June. To go by a planting date is almost impossible. There are some guidelines but they are all dependent on the weather. Nevertheless, it is worth to watch the weather and to plant as soon as possible and as late as needed. Late April: Spinach, peas, onions, lettuce, parsley, kale, and transplants from the whole cabbage family (Broccoli, cauliflower, …). 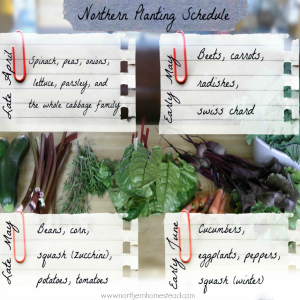 Early May: Beets, carrots (some like warmer weather, so plant some now, and some later), radishes, swiss chard. Late May: Carrots, beans, corn (does not grow well here, but it’s worth a try), squash (zucchini), potatoes, tomatoes transplants (might need protection). Early June: Transplants: Cucumbers, eggplants, peppers, squash (winter). 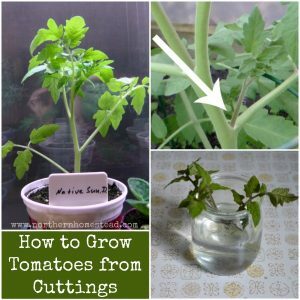 Expanding the growing season This is a topic for a whole new post, but it is worth mentioning it here. We like to extend the growing season and we find it is simplest to do so in the spring. Young, small plants are relatively easy to cover. 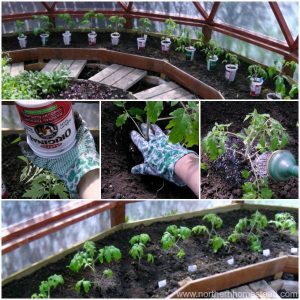 The most fun to extend the growing season is with a greenhouse. Do you have the courage to break some general rules? Have an exiting gardening season! 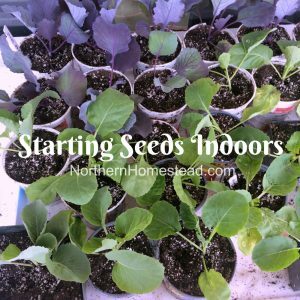 You may also like the Spring Indoor Seed-Starting Schedule. I just discovered your blog and am really enjoying reading through your posts. 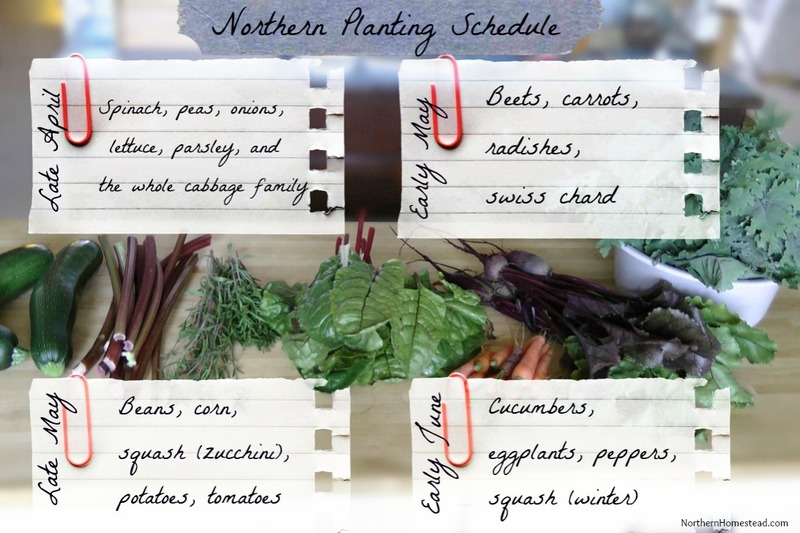 This one is particularly helpful as it’s going to be our first growing season in AB where we have access to a garden! So glad I can be of some help! gardening in AB is challenging but so much fun at the same time. Happy gardening! Agreed! I’ve been gardening in Edmonton for the past 6 years (lived here my whole life), and I’ve slowly added a bit more each year. I wish there were dates on your posts though! 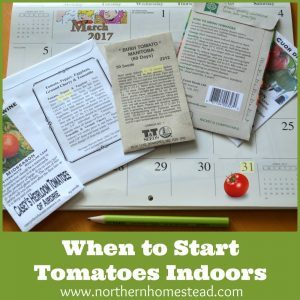 My indoors seed starting schedule has dates. It is easy to figure out the dates for planting these plants out. However, for outdoor planting, it is better to go by the weather. Sometimes the weather is cooler or warmer as the dates will tell you. Hope this helps. Also, make sure to follow us on facebook if you can, we share more actual things there. Pfft! It’s even worse in Manitoba! Glad I found your site. Welcome, glad to have you here! Yes winter in Manitoba are kind of brutal, but I hear summers are a bit warmer than here. Happy gardening anyways (once all the snow is gone ;))! The problem we always run into is it’s too wet to plant. Right now i’d love to be planting. Maybe I need to get some pots. Sigh….. So wet. 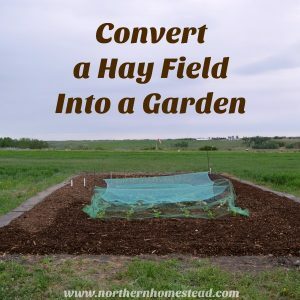 Have you tried mulching? That could help a lot with the wetness – just a thought. What do you mean by trying mulching? We also are too wet to plant where it is obvious the previous owners had their garden. In CA you mulch to hold the moisture in your garden by laying it on top of the dirt. How do you use mulching to cut the mud into good plantable dirt? Mulch like wood chips work both ways because wood can hold the excesses moisture and give it back as needed. You will need a thick layer though to work. A garden mulched with wood chips is never muddy. You could also try raised beds, They dry out faster, and the snow melts off them faster. You are so right, Alex. And if you add some protection to the raised bed, you can plant even sooner. I stumbled across your blog this past weekend and can’t say enough how much I appreciate your wonderful posts. I also live in Alberta and it is so nice to be able to learn from your gardening experience in this province! I have a large family and use gardening to lower our food costs, but I also really enjoy working in the dirt. 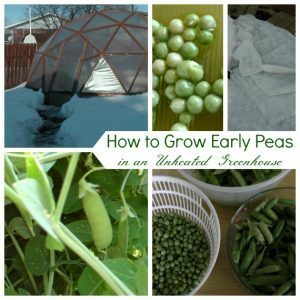 This year I’ll be experimenting with a cold frame and hoop houses and am excited to see how this will lengthen our growing season. 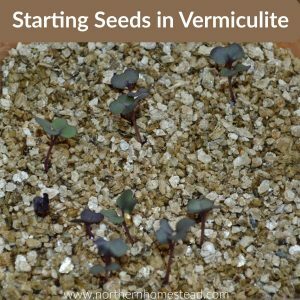 I’ll definitely be trying to plant out my broccoli early this year (like you recommend) – I hope this will solve the cabbage worm problem. Thanks again! Welcome Vanessa and thank you for your kind words. Gardening in Alberta is challenging for sure, but also fun and rewarding. I need to dig up that calendar for planting here in Central Florida…I’m probably behind on everything LOL One of these days I’m gonna comment to you on what I actually PLANTED!!! Looking forward to that day! And do not stress about being late, after all you got all year to plant ;). I am I bit jealous. Here in the south, of course, we plant earlier than you do. I actually bought some seeds yesterday to start inside (after reading one of your posts). I’ve never planted seeds, just always bought the plant. I’m so excited! Thank you, you made my day! So happy to have encouraged you to start planting! Go girl go! Yes, there are better places to garden than where we are, but we try to make the best out of it. And in the end, it amazes me every year how much we actually harvest. So thankful! I planted seeds the first time Feb. 2nd. Those are doing very well, flowers and herbs. The Sunflowers are ready to go into the ground! So true- you need to bend the rules a bit when it comes to planting time- I think you’re lucky to be able to get out in the garden in late April- usually in Mb early may is the earliest- you can manage- but it’s worth it to get that early stuff in! It is worth it to be as early as possible and as late as needed. happy gardening! 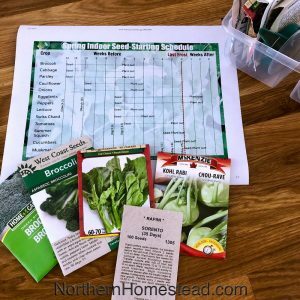 Thanks for sharing on Homestead Barn Hop. Nice summary for beginning gardeners. Thank you so much for posting this. I’ve been itching to get out in my garden and plant (I’m a zone 3/4) and was going to go with the suggested planting times from the seed manufacture, but they are based out of Mississauga, ON, so I was a little unsure, as I’m in the North Okanagan region of BC. Now I’m thinking I might go half way between your dates and theirs and have more success. Hi Ricki, the best way is to find out the last frost day in your area. It might be different than what we have or what ON has. Then decide what you can plant before, on time and after the last frost day. You are welcome Janet! Gardening is always learning. Love this post! Thank you….. I used to make a number of plantings so everything wouldn’t be ready at once, but despite the different planting times all the beans were all ready at once. The same for peppers, squash, onions, and tubers. The only things that didn’t were ever baring and things like strawberries that all fruited at the same time. Succession planting doesn’t work for short summers. When the plants get the right light and temperature, they grow like crazy because they know snow can happen at any time(this is true of heirloom and locally acclimatized seed). I find the heirloom seeds produce better and taste better then seeds meant for an other climate. You right, short season planting and harvesting time window is very narrow. Heirloom and locally acclimatized seeds are great, or at least from a climate close to the one you live in. Such good information! Thank you for the simple approach to gardening. We are new arrivals to Maine from CA. We were hobby gardeners at best in CA. Here we want to ‘grow into’ growing an abundance of food. We now have the land we just need baby steps of knowledge to begin our journey. You have given us a good, strong start. Thank you Jeannie for your kind words. Gardening is like riding a bike, you learn it by doing it. Every year you will get a little better. Growing an abundance of food is a great goal, go for it!